Following a typical career path, Rajiv Satyal has gone from University of Cincinnati engineering student to Procter & Gamble marketer to stand-up comedian / researcher. A self-described “Indian comedian from Cincinnati” who covers everything from racial issues to soap bottles to his favorite topic – himself, Rajiv has opened for Dave Chappelle, Tim Allen, Kevin Nealon and Russell Peters, and performed for companies like General Electric, General Mills, Quaker and Cisco. He co-founded ‘Make Chai Not War’ – a stand-up show sponsored by the US State Department that traveled to seven Indian cities in 2012 and named his alma mater’s online radio station ‘Bearcast.’ He has also launched and managed a Miss India America’s career and assisted NFL players in defining their lives after football. 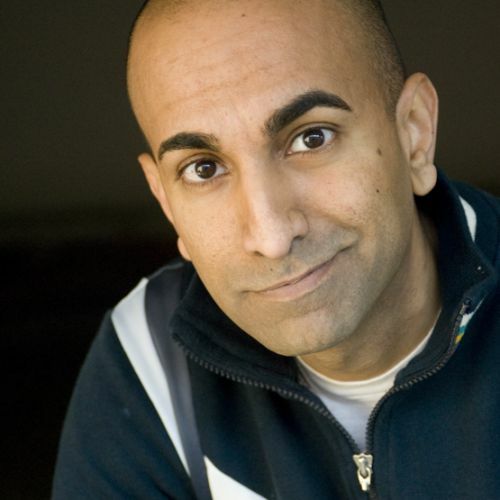 With more than 2 million YouTube views to his credit, Rajiv has performed on three continents, been featured on NBC and NPR, and in The Wall Street Journal, The Huffington Post, and the LA Times. He does stand-up at more than 40 colleges annually and regularly at all major comedy clubs in LA. He records a weekly podcast, acts in funny commercials, and writes humorous ads. And of course his favorite sites in the whole wide world are facebook.com/funnyindian and funnyindian.com.